Another year, another great new sponsor has joined the Cycle Oregon family and we could not be more psyched to have them on board! 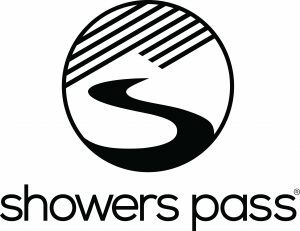 Anyone who has ever bike commuted in the Northwest in November knows the Showers Pass logo instantly. Their gear keeps us safer and drier and in the saddle when a glance out the window has us thinking otherwise. Although they started out as just rain gear (darn good rain gear at that) in 1997, they have grown their range to include a wide variety of performance apparel, waterproof socks and waterproof bags. In a part of the country with such an embarrassment of outdoor brands, we are so lucky to have one as a sponsor that is so perfectly aligned with us and our riders. Welcome aboard Showers Pass!